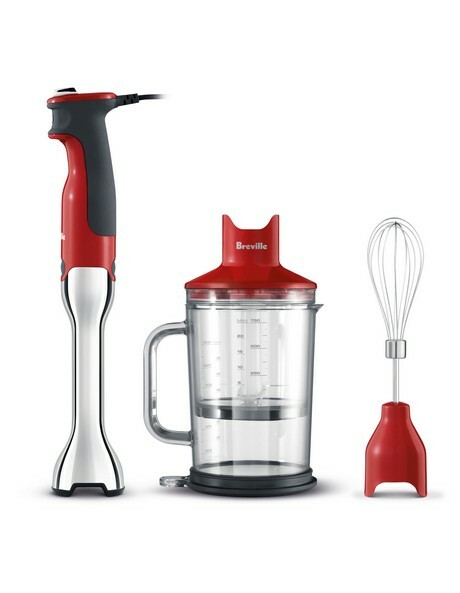 Breville's Control Grip Stick Mixer has an ergonomic trigger switch operation, a soft touch grip to prevent slipping, and an anti-suction blending action. The included chopper bowl stores into the the blending jug for compact storage or for use with the jug's ergonomic handle. The dual jug/chopper storage lid also doubles as a non-slip base.